Michelle Yola gave birth to her first child sometimes in March 2018. 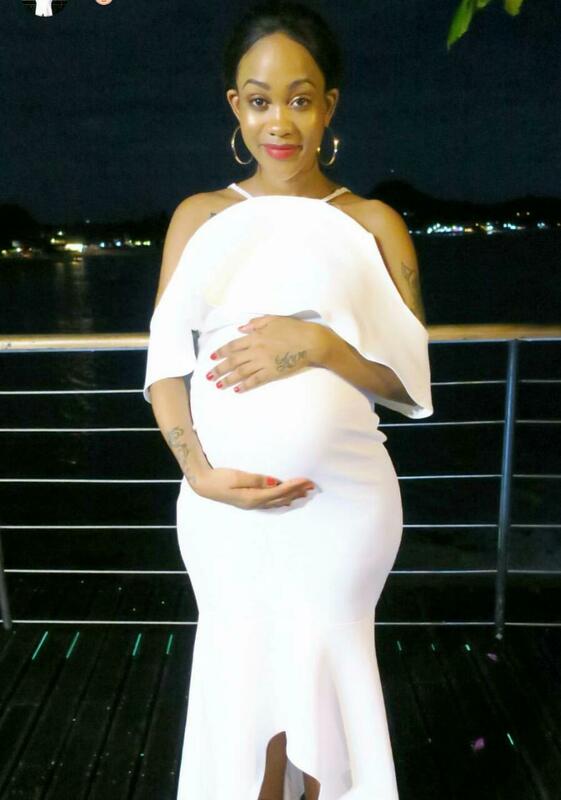 The former Nairobi Diaries actress was knocked up by a Caucasian man months after breaking up with Prezzo. Yola put on a lot of weight quickly during her pregnancy. She was rarely seen online, she only shared a few photos of her big baby bump on social media. Yole recently stepped out for the first time since she gave birth. The mother of one look hot AF, she proudly announced that she had shed off 15 kilos. “First time to go out tonight ever since my daughter was born 01 feel strange in heels lol.For those asking about how much weight I’ve lost so far..I’m 60kgs at the moment. :15kilos out already. My goal is to be btwn 50 and 55kgs,” wrote Michel Yola.